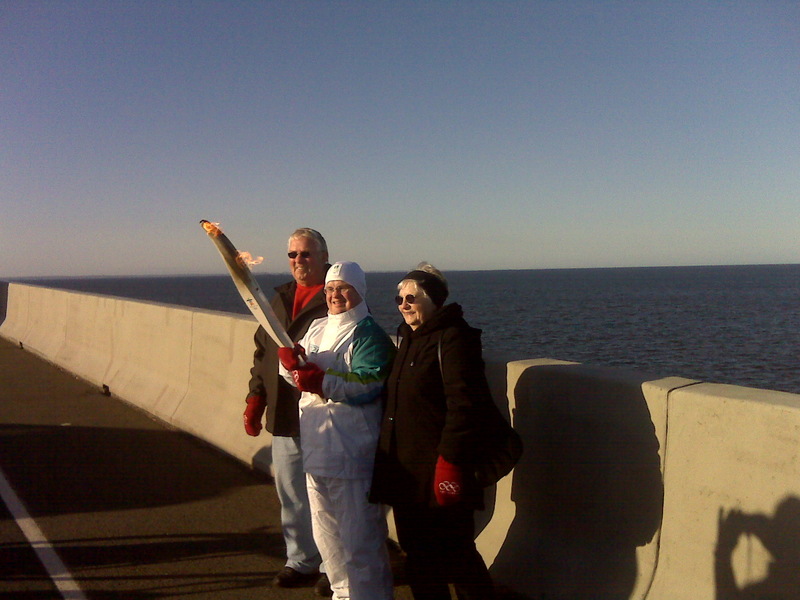 The Olympic Torch Relay hit Prince Edward Island last weekend, and by all accounts, runners and onlookers alike found the experience to be very touching. 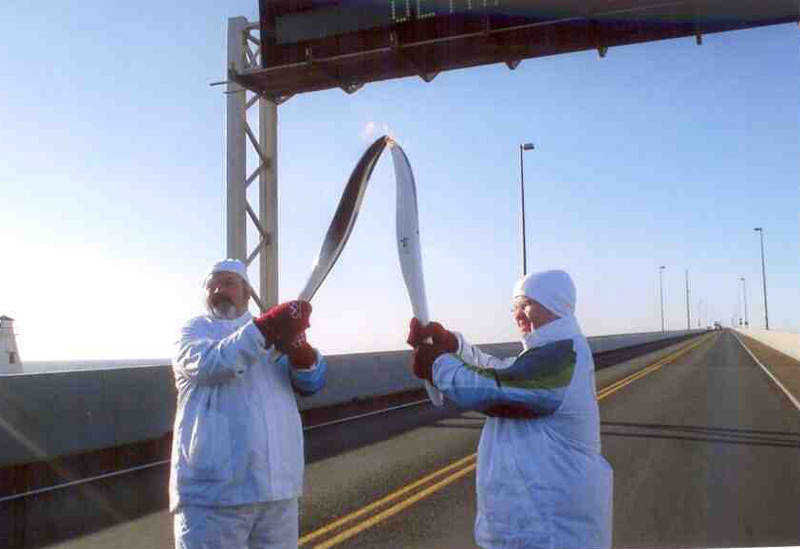 But my favourite story is about the last person to carry the torch on P.E.I., Holland College employee Paul Phillips, who took it for a 300 metre run on the Confederation Bridge. Paul is the mail porter at the Aerospace Centre in Summerside. I don’t know him very well, but whenever I’ve been at the Aerospace Centre, it’s easy to see the genuine affection that staff and students have for him, and how much pride he takes in his work. Kim Gallant, the Industrial Trades and Technology secretary, has worked with Paul ever since he started at the college. She brought Paul’s participation in the torch run to my attention and gave me some background on this outstanding employee. “Not a day goes by that Paul isn’t bringing laughter to the staff lounge and hallways. We are very lucky to have him on staff with us,” she told me. Howard Sheppard, who was program manager at the time, picks up the story. The 34-year-old has been there more than 10 years now, and is considered an integral part of the Aerospace Centre team. Paul’s involvement in the torch relay has an element of mystery to it. I spoke with his mother, Myrna, about the experience. Myrna said the organizers and people working on the relay were amazing. “They called the night before to make sure he was ready to go, and from the moment that he walked into the school to register they were upbeat and enthusiastic,” she recalled. Although he originally didn’t intend to buy his torch, Paul changed his mind after running his leg of the relay. The torch is kept safely at home, except for the other day, when he donned his torch relay suit and brought in the torch for a picture with Aerospace Centre staff. Paul was bubbling over with excitement, pride, and confidence when I spoke to him on the phone; these are traits that he shows at work every day. 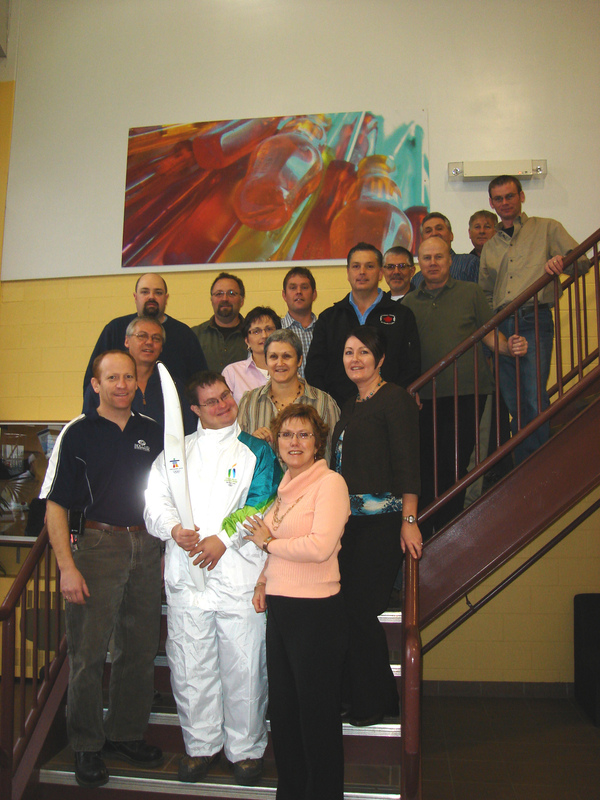 His mother credits the staff at the Aerospace Centre, and Kim Gallant and Howard Sheppard especially, for welcoming Paul into the workplace. “You need acceptance first,” she noted. She recounts how Paul’s face lit up when he saw Kent Sheen, Program Manager for the Industrial Trades and Technology programs, at the relay to cheer him on. It’s plain to see that Paul’s a special guy. Not because he has Down syndrome, but because he takes on life’s challenges with an infectious enthusiasm, humour, and a heck of a lot of style. I can’t wait to hear what his next adventure will be. Many thanks to Kim Gallant and Myrna Phillips for providing me with information. Preparing for international competition can be grueling. Ask Adam Loo. As a member of the 2008 Culinary Youth Team Canada and winner of the title of Golden Junior Chef of the Year last spring at the International Gastronomy Festival, he can tell you. It involves months of training and dedication that has to carry you through the fatigue and frustration. It’s about keeping your eye on the prize for a long, long time. 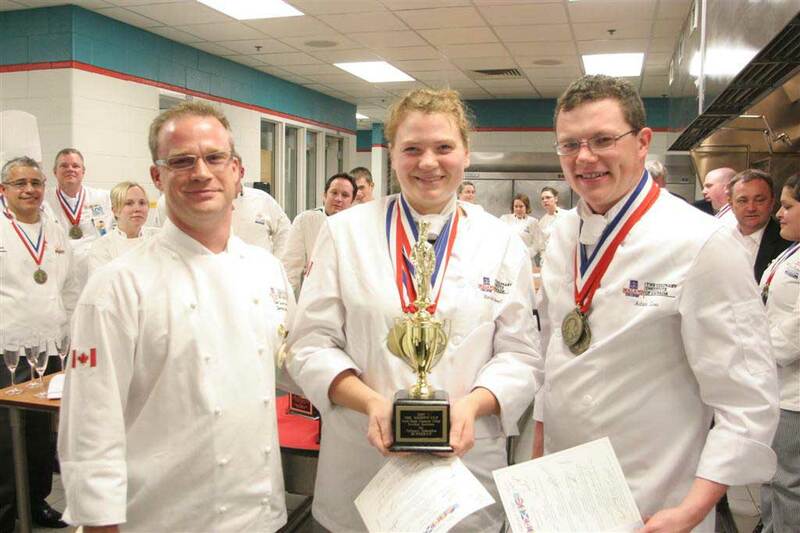 But when Adam and fellow Culinary Institute of Canada student Revanna Powell recently traveled to Grand Rapids, Michigan after only four training sessions, they managed to hit the ground running, bringing home three gold and three silver medals and finishing second overall. Adam, who hails from Springfield, P.E.I., and Revanna, who is from Winnipeg, represented Canada in The Nations Cup, a biannual invitational event hosted by Grand Rapids Community College that brings together young chefs from the United States, Canada, Mexico, Barbados, Puerto Rico and Scotland. 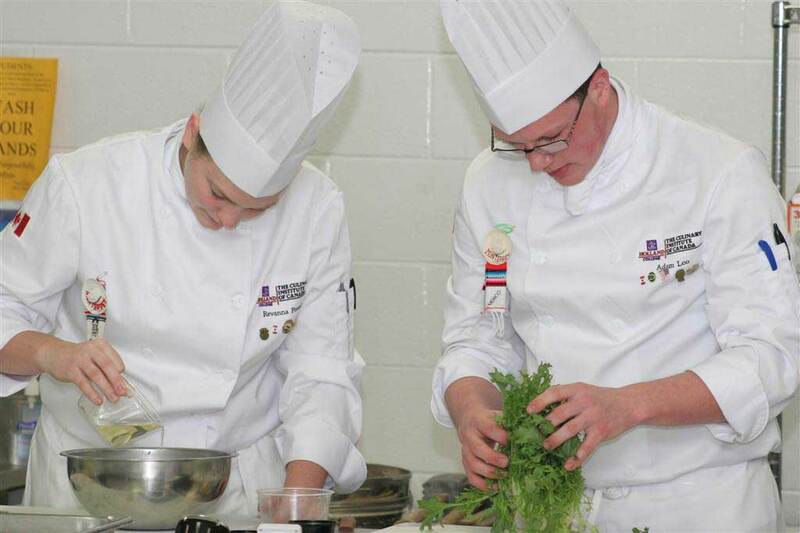 Teams of two students compete for two full days in seven categories: appetizers, salads, poultry, fish, shellfish, meat and game; and a mystery box containing ingredients which the teams must feature. Chef instructors Kevin Boyce and Hans Anderegg trained Adam and Revanna, and Chef Kevin travelled to Grand Rapids with them. Knowing that the other teams had been practicing for months, he was guardedly optimistic about the duo’s chances. As it turned out, his reservations were unfounded. “After the first competition, I was in awe of how well they did,” he said. For Adam, a student in the Applied Degree in Culinary Operations program and a seasoned competitor, The Nations Cup was very different from his other competitive experiences. “In the black box competitions, we had no idea what ingredients we were going to get. With five black boxes in two days, it pushes both competitors outside of their comfort zone and really shows how competitors react to the situation in front of them,” he explained. “A lot of credit goes to Revanna for the great outcome at the competition. She hadn’t competed before, and to walk into a competition like that without having a lot of experience is a very difficult thing to do,” he added. It may have been Revanna’s first competition, but it doesn’t sound like it will be her last. “It was an amazing experience. I really don’t have anything to compare it to, but I will say because of this competition I would definitely consider competing again,” she said. Although competition was stiff, it was by no means hostile. The intention of the competition is to bring together student chefs from the six countries to learn more about each other’s cultures. The students spent the four days that they were at the Grand Rapids Community College’s Secchia Institute for Culinary Education mingling with each other at meal times, and all the teams stayed together at the hotel. “The competition is geared around six nations getting to know each other, rather than competing against each other. 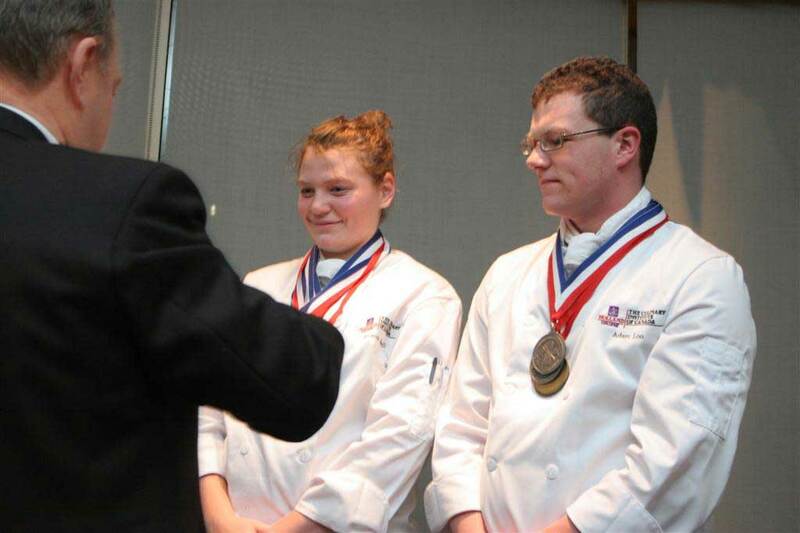 Points are awarded for each dish, so everyone can win gold,” Chef Kevin explained. Perhaps that’s why the team did so well in spite of their short preparation time. Adam was impressed with the preparation and execution of The Nations Cup. Competition Chairman and Grand Rapids Community College Chef/Professor Angus Campbell said Revanna and Adam’s performance was exemplary. Congratulations to these young culinarians and their coaches, for upholding the reputation for competitive excellence for which The Culinary Institute of Canada is so well known. Students from the college’s Commercial Diving program headed up to the University of Prince Edward Island to donate blood at a recent donation clinic. I asked Steve White, learning manager for the program, why the students decided to do this as a group. The Commercial Diving program is currently located at the Georgetown Centre, but will be moving to the Marine Training Centre in Summerside next year. Commercial diving is a demanding profession. Divers often work in dangerous conditions inspecting and repairing pipe lines connected to offshore drilling rigs, so students in this program have to be in top physical condition. I’m not sure if it’s the nature of their training – divers have to look out for each other when they are on the job – or the kind of people who are attracted to the program, but these students form strong bonds with each other during the 9 month program. Graduates from the program get a Divers Certification Board of Canada (DCBC) Unrestricted Surface Supplied Diver certificate also an Association of Diving Contractors International (ADCI) Entry Level Diver Tender certificate, credentials that are recognized in most jurisdictions worldwide. Members of our community band, the Holland College Welshmen, are getting their chops up to scratch for their first concert of the school year, to be held 7:30 p.m., November 24th, in the Charlottetown Centre gym. The band, which now boasts 52 members, is led by one of our own, BISD learning manager Alan Dowling. Alan’s got an impressive list of credentials, including being an alumnus of Berklee, the prestigious college of music in Boston. To those not familiar with the history of the college’s Charlottetown Centre building, the name of the band may be a bit puzzling. The band was named in honour of the Prince of Wales College, which was located in the building on Weymouth Street for many years before it amalgamated with St. Dunstan’s University to form the University of Prince Edward Island in 1968. Many Prince of Wales alumni come to the band’s performances, in part, I suspect, to enjoy the nostalgia they feel walking into the building. This is only the band’s second year, but the membership is increasing in leaps and bounds. In addition to staff, students, and alumni from the college, we have high school students, UPEI undergraduate and graduate students, a UPEI professor, a retired judge, a dentist, a nurse, an innkeeper, a video game developer, and a librarian. The band gives these musicians, some of whom haven’t played an instrument in several years, an opportunity to play in a band again. The group meets once a week (usually on Tuesdays) throughout the school year to practice, and receives many requests to play at functions out in the community as well as at college events.